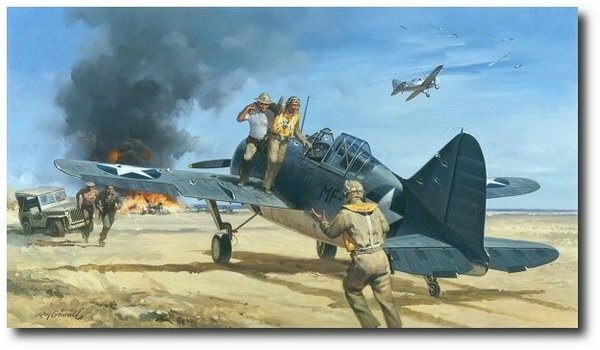 Lt. Kunz was awarded the Navy Cross for his action at Midway. He further served in the Solomon and Marshall Islands, and the Korean War. Colonel Kunz retired in 1967 as a Marine Corps “Ace” with Eight Victories to his credit.